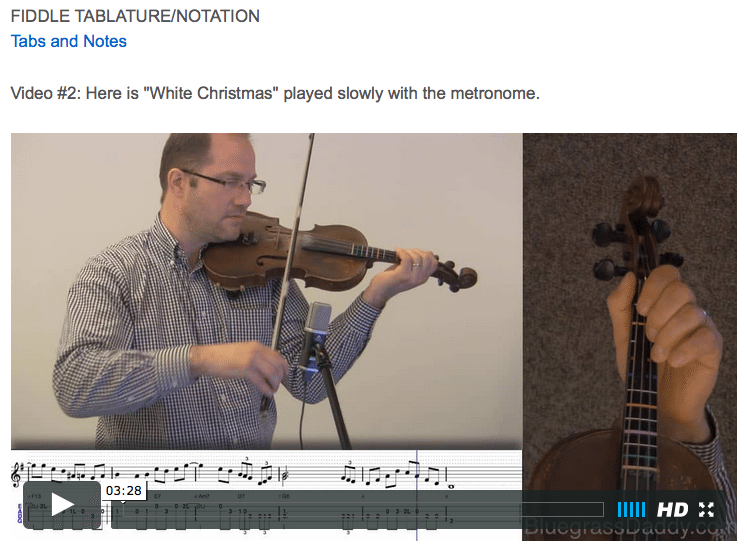 This is an online fiddle lesson for the Christmas carol "White Christmas." Video #1: Here is a video of a live performance of "White Christmas." "White Christmas" is an Irving Berlin song reminiscing about an old-fashioned Christmas setting. According to the Guinness World Records, the version sung by Bing Crosby is thebest-selling single of all time, with estimated sales in excess of 100 million copies worldwide. Other versions of the song, along with Bing Crosby's, have sold over 150 million copies. 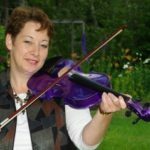 Posted in Holiday, Intermediate	Tagged with: "White Christmas" "Irving Berlin" "Bing Crosby" "Christmas fiddle lesson" "bluegrass fiddle lesson" "online fiddle lesson" "John Cockman" "BluegrassDaddy"
This topic contains 4 replies, has 3 voices, and was last updated by John Cockman 3 years ago. I jammed on this song with my daughters and a room full of their friends and then tabbed out what I played. Thanks! We all did some caroling at the local mall the next day. They worked out some pretty harmonies! John, seeing the delight and energy of that group of singers is inspiring. You are making a huge difference in their lives by giving them the gift of music. A merry Christmas to you, your family, and your students!